Guess who’s back for the 2014 Dickey County Fair? That’s right…it’s Daryl’s Racing Pigs! Be sure to check it out – it’s always a fan favorite! Entertaining as always! Be sure to catch Daryl’s Racing Pigs! 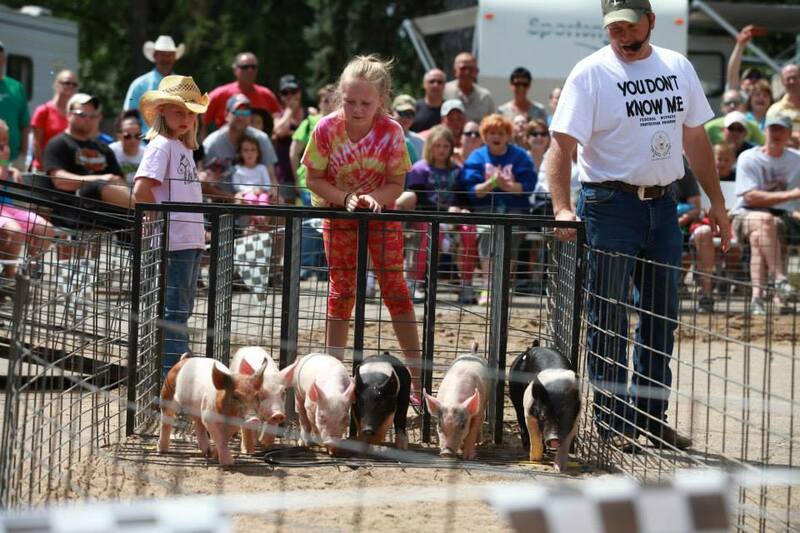 Pigs will be racing at 4 and 6 on Friday, with the show continuing at 1, 3 and 5 on Saturday!